Joe Biden has been at the center of criticism since Democrat Lucy Flores recounted, in an online essay, interactions with the former vice president that made her uncomfortable. She described the ways in which Biden touched and kissed her when she was a candidate for lieutenant governor of Nevada. In a statement released shortly after Flores came forward, Biden came to terms with the ways in which he made Flores uncomfortable. However, there were three other women who have come forward about their uneasiness with the ways in which Biden has interacted with them. 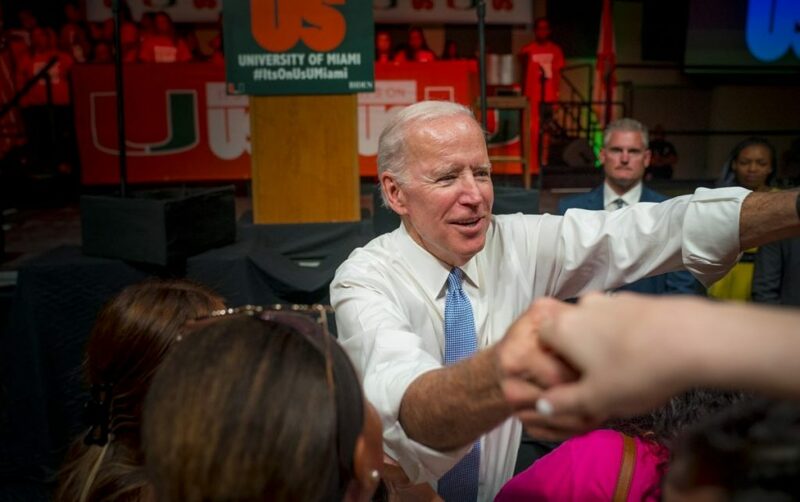 Biden said in his many years as a public figure, hugs, handshakes and kisses are some of the ways he emotes with people to support and comfort them. “When he was pulling me in, I thought he was going to kiss me on the mouth,” said Lappos. 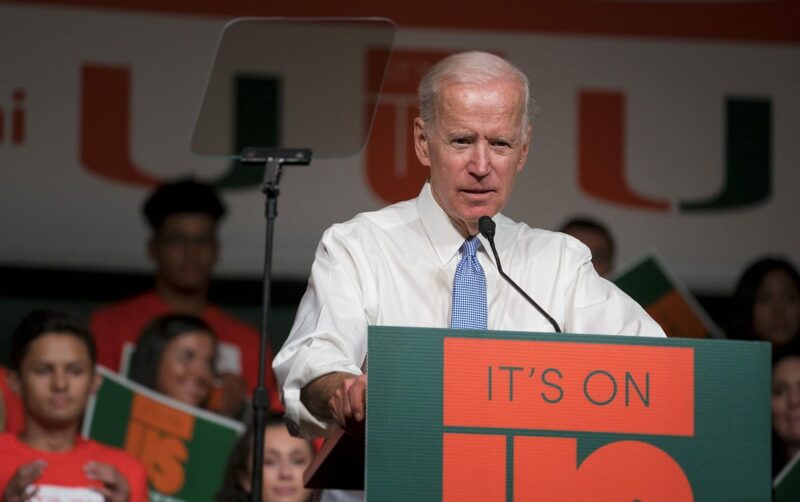 Biden was at the University of Miami in March 2018 to give a speech in partnership with the university’s chapter of It’s On Us, which aims to help and support sexual assault victims and survivors. 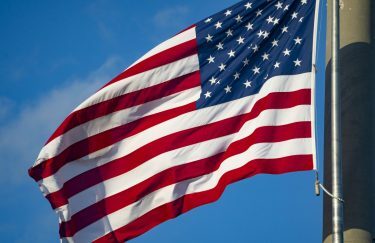 Former President Barack Obama and Vice President Biden launched It’s On Us in 2014. Students around campus reacted to the controversy. Isabella Campbell, a political science and women and gender studies double major, said she believes that the fact that women have been empowered to speak up is of utmost importance. “This is the whole purpose of something like the #MeToo movement- checking the privilege of powerful men in hopes of elevating their consciousness on such issues,” Campbell said. Emily Powell, a junior psychology major, said that what’s most important to remember in situations like these is that women should be heard and believed. “If any person has the courage to speak up about an incidence of assault, whether it be feeling undermined verbally or assaulted physically, we owe that person the respect of listening and trusting,” said Powell. Biden made a joke Friday, April 5 at a speech in Washington D.C., in which he claimed he was given “permission” to hug Lonnie Stephenson, raising further criticism. After hearing Biden’s comment, Powell said she was deeply upset. “Regardless of the recent stories and press, making a joke out of the situation is absolutely horrifying and further quiets those that decide to speak up,” said Powell. These allegations of inappropriate conduct with Lucy Flores and Amy Lappos came just a few days after Biden’s involvement in the Anita Hill hearing of 1991 was brought to question. During the confirmation of Justice Clarence Thomas, Biden was criticized for his role in the aggressive questioning of Anita Hill, a woman who publicly came forward accusing Thomas of sexual assault. Biden presented deep remorse for his actions in the hearing at a speech in New York City, stating that he wishes he had could’ve done something. In the midst of this controversy, Biden is still yet to formally announce whether or not he will run for president but said he aims to do so “relatively soon.” However, these issues present Biden with a challenge in securing the 2020 nomination for the Democrats, a party which now more than ever roots itself at the center of the women’s movement.